Today’s New Year’s Honours List reveals philanthropist, Jack Petchey CBE will receive a knighthood in recognition of his charitable work. 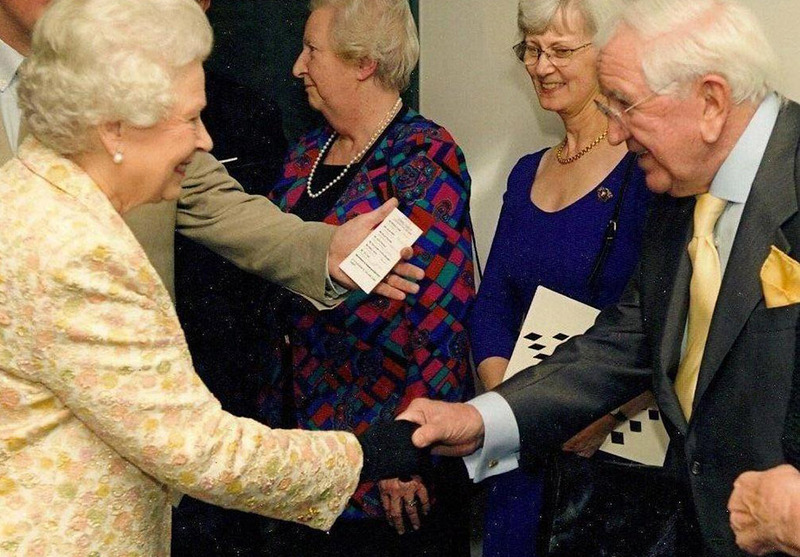 The 90 year old is still determined to go to work every day at the Jack Petchey Foundation which he created in 1999. It has contributed over £100 million to a wide range of good causes, benefitting over 500,000 young people every year. The Panathlon Challenge inspiring young disabled people to use competitive sport and fair play as a means of social and personal development. At a time when many youth services are being cut the Foundation provides over 2000 organisations with the means to recognise young people’s accomplishments through membership of its prestigious Achievement Award scheme. This in turn invests over £3m per year in grass roots youth work. Sir Jack left school aged 13 with no qualifications yet went on to become one of the UK’s most successful entrepreneurs. His driving ambition has been to inspire and motivate young people and give them positive encouragement to achieve.